The Diva's Weekly Challenge #246: "Guest Post: Monotangle Trees"
Dilip Patel from India is spreading the word about planting trees and caring for our environment so tangling a tree is our challenge for this week. You can see Dilip's fantastic range of Zentangle art at his blog here where he often shares a thoughtful message through his drawing. Whew, the wind is blowing this old tree!! It is very dry at our place already and summer has just begun. When I drive up the hill to our home this beautiful Eucalyptus comes into view, standing straight and tall at the top of our driveway, it is always a lovely sight especially when the sun is setting. 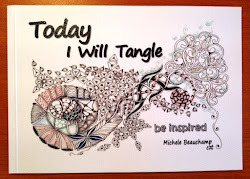 If you would like to purchase a copy of 'Today I Will Tangle' just click on My Etsy shop link here or for Aussie tanglers click here (scroll down). I love your tree; Diva Dance is just the one for this challenge isn't it? I also love the real one. 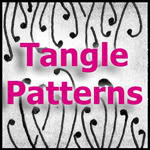 Your tangled tree is amazing, love it. WOW! Your tree is really wonderful! Wow Michelle, your Sprigs is perfect for this wonderful tree. Love the Eucaliptus, i remember seeing them in Australia.......so beautiful! What a lovely tree you have created Shelly. And thanks for the kind words. Love the movement in this tangled tree! Pretty "real" tree too! Love your blustery tree, reminds me of Winnie the Pooh story. Love the tree and the feeling it evokes. Both trees are beautiful. 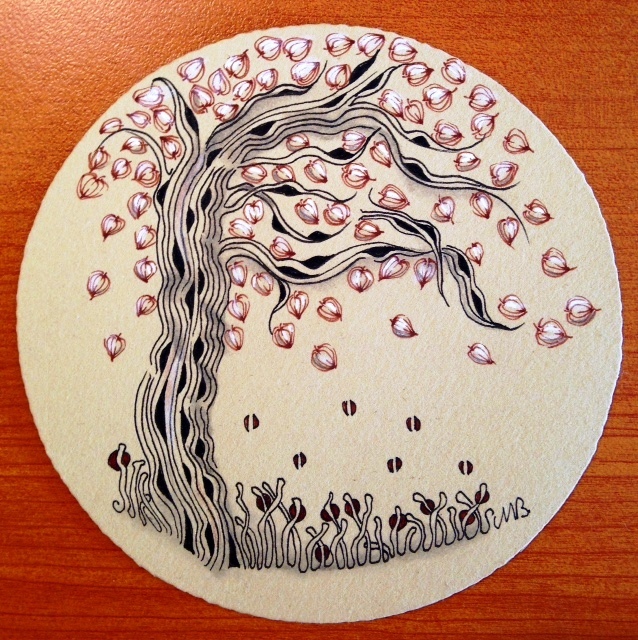 The tree you drew brought "old soul" to mind for some reason. I love it.